Is It Better To Use Machines or Free Weights? Do you ever notice that just about every gym has a section for resistance machines and a separate section for free weights? This has brought on decades worth of debating the question, is it better to use machines or free weights? Each one has positives and negatives. To answer this question, you have to ask yourself what your resistance training goals are. 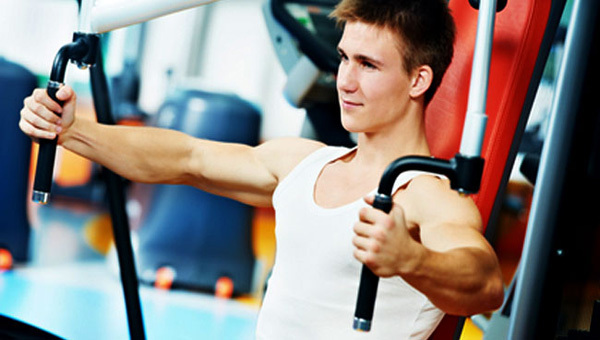 Resistance Machines come in many forms and there are specific machines for every muscle group. Machines that have handles attached to a cable usually allow you to move in a more natural motion. Many styles of this equipment fixes your body into a specific line of motion and often times it isn’t natural. There are many positives about using resistance machines. Bodybuilders often use them to isolate one muscle. They allow people to use more weight and exercise until muscular failure even without someone spotting you. Machines are a popular commodity among physical therapy clinics. If you have an injury I would highly recommend you to see a physical therapist or an experienced trainer for help. But if that is not an option for you, then initial rehabilitation can be done using light resistance on machines. 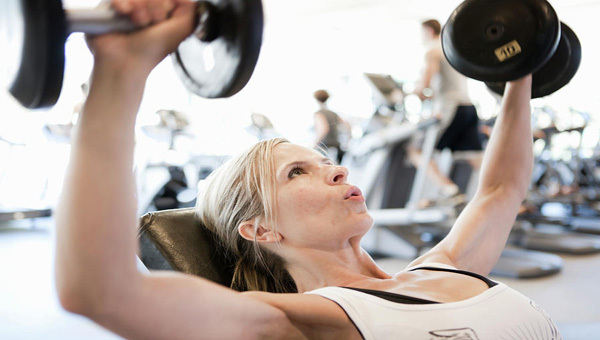 Machines allow you to strengthen muscles without worrying about correct form during free weight exercises. Often injuries can prevent people from being able to use correct form, which forces them to use machines instead until the muscle or joint is fully functional. Beginners can greatly benefit from machines because they are usually very easy to use. On almost every piece of equipment there is a diagram showing how to use the machine, and what muscle it works. This can be a good way to get accustomed to using the gym equipment on your own. I’ll start off with some negatives about free weights. They can be intimidating to use for beginners because the lifts usually involve a lot more technique. If you don’t use the correct technique your chances of injury increase, especially if you are using heavy weight. You also need a spotter if you want to train until muscular failure, or if the weight gets very intense. Free weights have many more benefits than negatives. They allow you to move resistance in your own natural body patterns. You can do more functional movements that get stabilizer muscles involved. Athletes train using lots of free weights because it allows you to perform sport specific movements. Free weights are much more beneficial in a practical sense. They are less expensive and more maneuverable than big awkward machines. It takes up less space, and there are a huge variety of exercises that can be performed with just one free weight. Free weight exercises tend to use more muscle groups, which also means more calories are being used and more lean muscles is being produced. In my opinion, free weights are a much more productive tool with not too many down sides. There is a learning curve because there is more technique involved, but that’s just a part of investing in your own health. Resistance machines have multiple purposes and should absolutely be used to supplement a workout routine. The use of both types of equipment together will give you greater strength gains and a higher percentage of lean muscle mass. You can take a look at the technique of various exercises on the YouTube channel. If you have any video requests or any questions about technique on a specific free weight exercise, just contact me or leave a comment below. I will respond to you quickly. You may also be interested in 5 Unconventional Training Tools That Are Extremely Useful, if you want to get creative with your workouts!